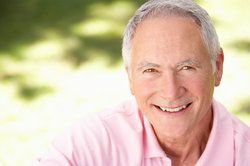 If you're a candidate for traditional dental crowns, same-day dental crowns may be right for you. CEREC® technology is making dental crown treatment possible in a single dental visit so you can enjoy a restored smile in one day. To find out if same-day crowns are right for you, we welcome you to schedule a consultation with Windsor cosmetic dentist Stephen D. Lipman. In the meantime, read on to learn more about same-day dental crowns. How Are Same-day Crowns Possible? Same-day crowns are possible thanks to CEREC® technology. CEREC® technology is a highly advanced dental system which makes same-day crowns, porcelain veneers, and other dental fabrications possible. The CEREC® system works by taking digital impressions of the teeth. The digital impressions are then transferred to an in-office milling machine, which crafts a customized ceramic dental crown in practically no time. No need for multiple dental appointments: Traditional dental crowns generally require two dental appointments, the first to make an impression of the treated tooth and the second to place the completed dental crown. CEREC® technology allows dental crowns to be custom-made in a single dental visit. Eliminates the long wait for crown fabrication: Traditional dental crowns are made from impressions sent to a dental lab, which can take more than two weeks to complete. Same-day crowns eliminate the long wait since crowns are made in one dental visit. Temporary crowns are not required: Temporary crowns are not required with same-day crown treatment. Treatment completed in a single dental visit: Of course, the greatest benefit of same-day crown treatment is that crowns can be placed in a single dental visit. Broken teeth: Teeth that are broken, whether from decay or injury, can be treated with same-day dental crowns. Teeth weakened by large fillings: Large fillings can weaken the teeth, leaving them prone to breakage. Same-day crowns offer a layer of protection, restoring both the structure and appearance of damaged teeth. Severely decayed teeth: Same-day crowns are suitable for those with severely decayed teeth. Crowns can save decayed teeth from requiring extraction. Fractured teeth: Cracked or fractured teeth can be restored with same-day dental crowns to prevent further damage. Are You a Candidate for Same-day Crowns? Same-day dental crowns can transform your smile in a single dental appointment. To find out if you're a candidate for same-day crowns, we invite you to schedule a consultation with Dr. Lipman.